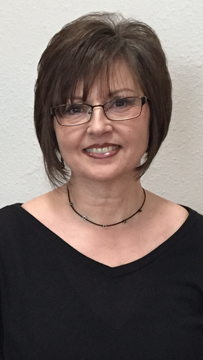 Judy is a board certified Nurse Practitioner with over 17 years of experience in bioidentical hormone therapy, holistic medicine, and preventive health care. She received her Bachelor of Science in Nursing Degree from the University of Colorado and is board certified by the National Certification Corporation. Judy worked for several years in various gynecology and integrative health practices in the Denver Metro area. Prior to joining Rocky Mountain Comprehensive Health, Judy was the owner and sole practitioner for eight years of a successful practice specializing in bioidentical hormone replacement therapy and holistic medicine in Parker, Colorado. Judy approaches her practice from a holistic perspective, seeking to address the physical, emotional, and spiritual needs of her patients. Besides her in-depth knowledge of bioidentical hormone replacement therapy, Judy has extensive experience in treating endocrine disorders involving the thyroid and adrenals, including chronic and adrenal fatigue, as well as successfully addressing hidden toxicities that can adversely affect one’s health, such as heavy metals and biotoxins. Judy has developed several gentle yet effective detoxification protocols. Judy is a strong proponent of the significant relationship between digestion and overall health. She specializes in diagnosing and treating leaky gut, candida overgrowth, dysbiosis, and other intestinal complications. Judy is involved in many outside activities in addition to work. She is both a writer and a speaker! Judy has authored the book You, God, Hormones and Health, An Informative and Inspirational Guide to Wellness. Her book provides important advice on anti-aging and strategies for experiencing total health. Judy has also written several health-related articles for Shine Magazine. She enjoys speaking to various groups and teaching health related subjects. Judy volunteers in her church as a youth group leader to fourth and fifth graders, and has contracted as a supplemental provider with the Colorado Department of Corrections to provide health care and emotional support to prisoners. Presently, Judy lives in Aurora, Colorado, with her husband, Michael. Judy is the mother of three children and the proud grandmother of nine grandchildren!